Fran was a participant in our Flourishing Fellowship in 2015. After completing the Fellowship she went on with her project and team to be a part of Te Kōanga; a programme aiming to accelerate projects from idea to product and into market. Below is the journey that Fran has undertaken since July 2015! If you’d like to learn more about our Flourishing Fellowship click here! 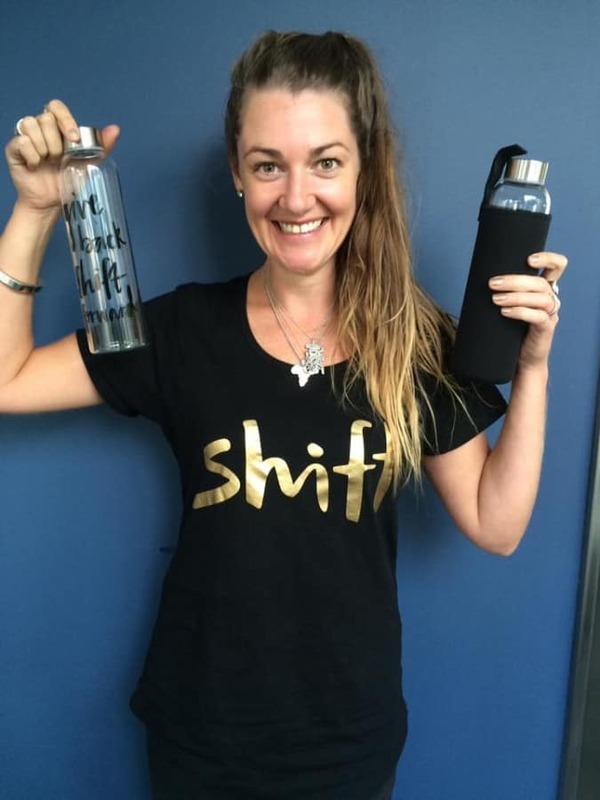 Aim of Shift: to provide opportunities for young Wellington women to connect with more physical and wellbeing opportunities; and to break down the financial barrier young women experience when accessing physical activity. Fran spent her teenage years making poor decisions. Now older, she realises her teenage years could have been different. So young women don’t have to go through the same experiences she did, she has been working hard to make sure young women are equipped with the knowledge to better choices. And how is Fran achieving this? By promoting physical activity and wellbeing opportunities to young women. To learn more about our Flourishing Fellowship click here! Her first experience working with young women came from her time away from New Zealand, in Adelaide. She was working with the local library and hosted a ten-week community development programme that targeted young women who were disengaged with formal education. Twenty young women from low-socio-economic backgrounds participated. They all had challenges including experiences of mental ill-health, distress, low confidence and self-esteem. The young women all had one thing in common – high school sucked. There were terrible stories of how hard it was not fitting in at high school. The young women were so disengaged with school they had stopped turning up, and spending ten weeks at a community development programme was better than wagging school. Together with Fran, they explored alternative future paths, and how to access different education. Simple things, right? By providing access to information and building relationships made all the difference. Fran was only 23, not long out of school herself, and understood just how hard high school could be. She was surprised that such a small local government programme hosted at a library could have such a profound effect on both the participants and herself. It was her first experience running a youth programme, and the strong connections formed with the young women through the experience meant they have stayed in contact as the years have passed. Fran returned to New Zealand, and ran a similar programme through the Upper Hutt City Council that had an equally positive response. Her experiences running the programmes validated that if this had been offered to Fran as a young woman, maybe she would have made some different choices. 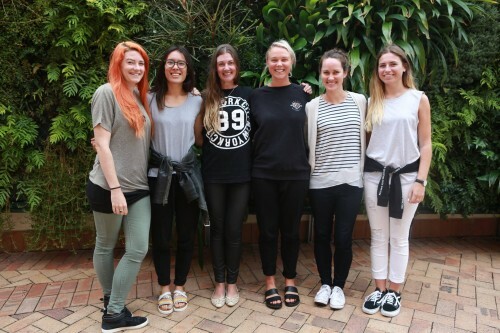 Equipping young women to improve their wellbeing through new opportunities became Fran’s priority. Fran recognised from her own wellbeing journey the importance of being physically active. So it made sense to focus on physical activity and young women’s wellbeing. She scored a role within Parks, Recreation and Sport at the Wellington City Council, and there began to explore why sport and physical activity were so important. Sport NZ released research on how youth sport participation rates, which inspired Fran to submit a funding application to Sport Wellington to explore this further in Wellington city through the Shift pilot project. It was while Fran was searching for her next thing to do that on a rainy Sunday afternoon she received a text from her wonderful Wellington City Council manager with a link to the Flourishing Fellowship Programme application form. People were beginning to appear and merge and come together. She noticed things were beginning to fall into place, an idea where she could take her work with young women next. She leapt at the opportunity to join the Flourishing Fellowship and applied the very same day. Fran found the Flourishing Fellowship impossible to describe. She really struggled to describe what it did. She kept telling people it was life changing and they would ask, “how?” but she couldn’t explain it. It was indescribable because the Flourishing Fellowship gave Fran a community. The growing, like-minded community helped Fran validate her own purpose and reasons for wanting to help young women. She was encouraged and supported by those also passionate about youth wellbeing in Aotearoa New Zealand. She learned how to define her identity and she found her place within the Lifehack community. Fran didn’t have to keep explaining, monitoring or measuring what she was saying, like she’d always had to within local government environments. She could speak how she felt, reflect on her experiences and be accepted who she was – without having to justify it with evidence or data. She discovered the Flourishing Fellowship was a place where people got her and her passion, and that discovery was life-changing. Experimentation and failure were two things Fran had very little experience in. Trying something out without a known outcome was a completely new practice.The four week Te Koanga programme converted her for life. 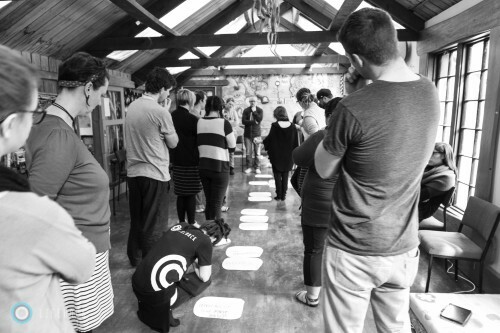 Fran’s initial Te Koanga project aimed to create a monitoring and evaluation schedule to measure young women’s wellbeing, but it quickly evolved into a social enterprise to address the financial barriers young women face when accessing physical activity. She knew buying gear, uniforms, transport and fees were barriers to participation, and so the solution was to create a PledgeMe campaign to raise $5000 to provide individual young women with the funds to access their chosen physical activity. Te Koanga inspired Fran to take a risk and experiment and realise the process didn’t have to be perfect. The Lifehack team offered Fran the opportunity to see her goals with creativity and a community focus. She had always tried to be perfect and during the Te Koanga process she felt like she had permission to be able to experiment. The PledgeMe campaign sold drink bottles that covered the costs a young woman wouldn’t have been able to afford. And the impact that accessibility to physical activity could have on one woman’s life had the potential to be huge. Te Koanga reinforced the idea of ‘sisterhood’ – a solidarity with other women who were all together. The connections the Lifehack team provided Fran were invaluable because they helped build a community around her and helped her achieve what she couldn’t do on her own. Lifehackers, Wellington Boys and Girls Institute and Enspiral staff, Massey University design students and an amazing volunteer lead designer together made up the Shift Sisterhood. 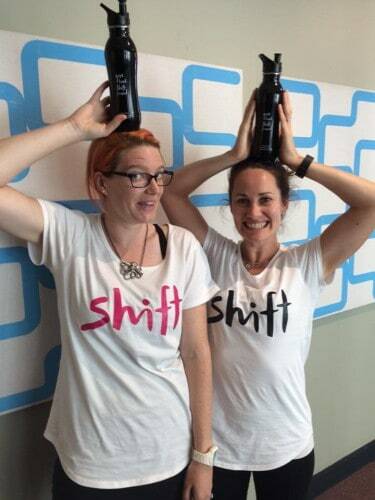 As with the Adelaide community, the Shift Sisterhood was diverse and all unique women. So, some things had changed (like her enthusiasm for experiments) and others (creating diverse communities) remained the same. At the very heart, Fran wants all young women to be happy, to flourish and not have to wait until 26 or older for their lives to begin. She wants to address the challenges young women face and support them through it so they have enjoyable teenage years. 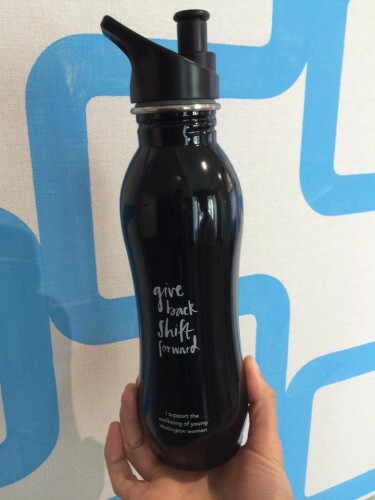 If you want to find out more about the Give Back, Shift Forward project then head over over the their website. Interested in our next Flourishing Fellowship? We just launched it!